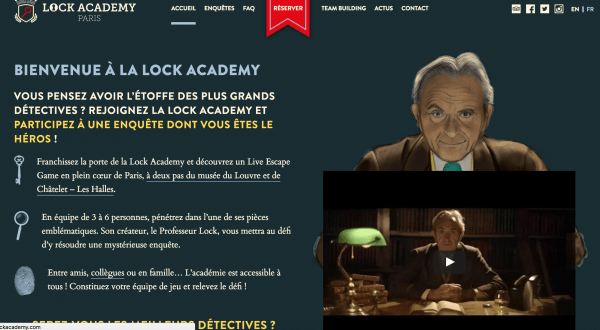 Can you solve the clues and escape from a locked room in under sixty minutes? This is the new game concept taking Europe by storm. The Live Escape Game places the players and their team of 3 to 5 in the role of a detective, trying to solve the mystery before the time run’s up in a locked room, by using their logic and quick thinking. 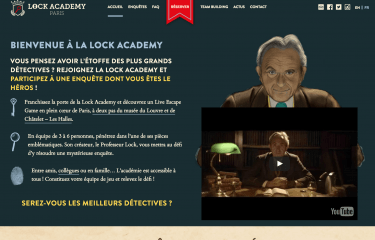 Entrepreneurs Romain Santiago and Laurent Ifrah decided to take this concept to it’s logical next step – the players in the Lock Academy live escape game – open in Paris October 2015 – will play the role of detective students at the fictional Lock Academy, detective school set in the heart of Paris. 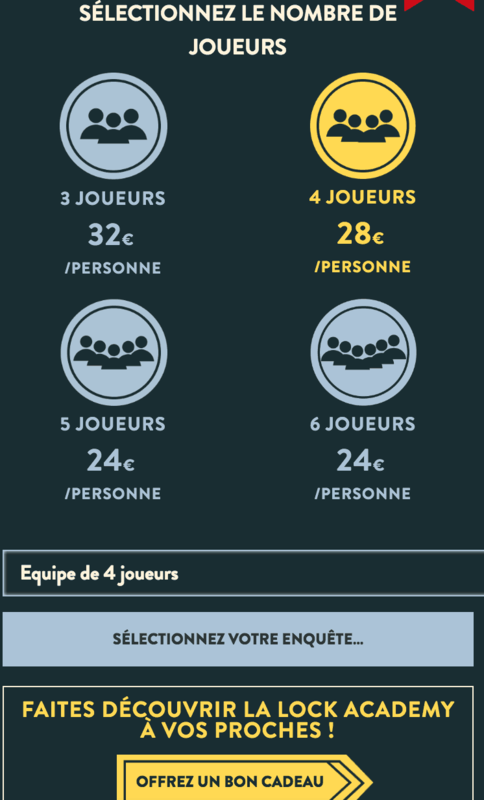 Central to the concept of a Live Room Escape Game is the idea that players book and pay for their games in advance through an online booking portal, and Romain and Laurent were adamant that this website should be just as an integral part of the universe they created as the rooms of the academy. Thus, the website lockacademy.com was born. Combining the flexibility of the WordPress base CMS with the WPML multilingual plugin (the site is available in French and English) to create a multilingual website allowed us to retain a lightweight base on which to build the reservation system. The reservation and ordering system itself is developed using the WooCommerce WordPress E-Commerce module with the plugin WooCommerce Bookings. 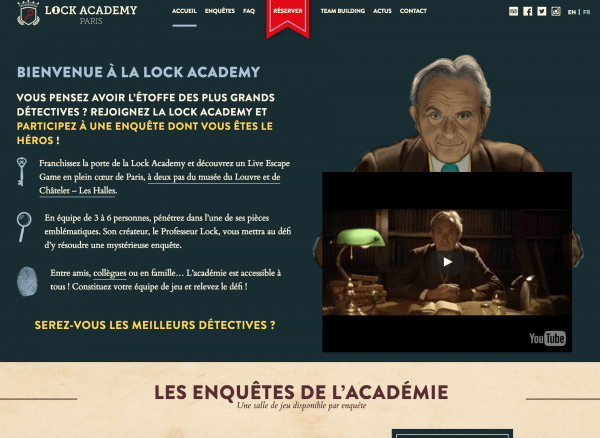 The combination of these modules allows lockacademy.com to stay a flexible and lightweight WordPress WooCommerce Online Bookings site, as well as enabling the team to process payments via the Mercanet ATOS SIPS module for accepting credit and debit card payments directly on the website. Implementing principles of User Experience testing and feedback, the checkout process was optimised to provide a simple and fast booking and payment process, allowing Lock Academy to maintain a high conversion rate, as well as setting them out as one of the leaders in User Experience in the Live Escape Game field. 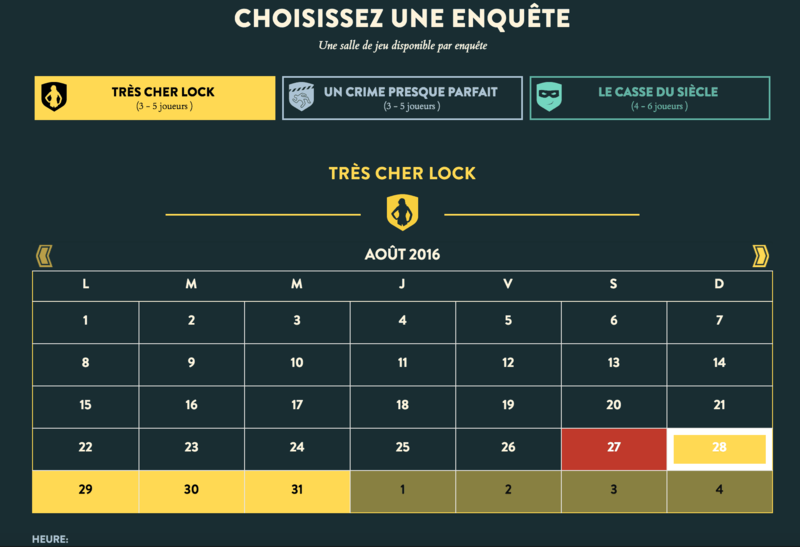 Take a moment to check out this stunning multilingual wordpress site, and book your first live escape game experience!